A Familiar Ring Necklace in Gold Only $7.99! You are here: Home / Great Deals / A Familiar Ring Necklace in Gold Only $7.99! This golden accessory is simple enough for your leggings and tee, yet stylishly sophisticated when paired with your blouse and pencil skirt! 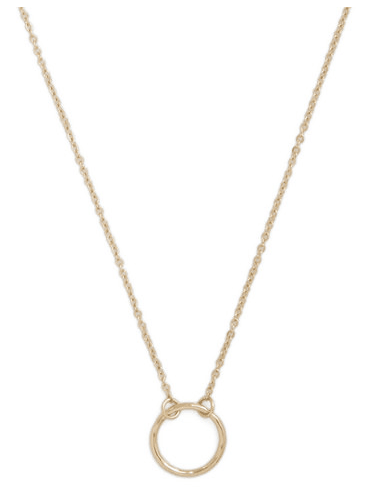 This A Familiar Ring Necklace in Gold Only $7.99 is a a delightful addition to your everyday ensembles!